Do you have a life science standard similar to this? 2c. 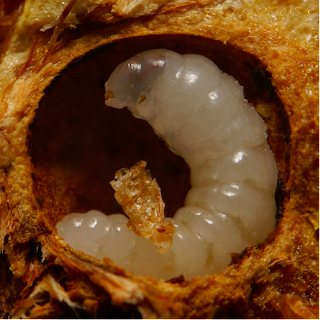 Students know animals eat plants or other animals for food and may also use plants or even other animals for shelter and nesting. One of the units we do is a study of oak galls. Do you have oak trees near you? 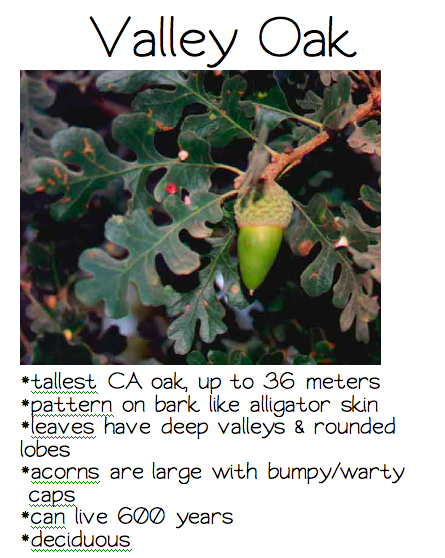 We have Valley Oak and Coast Live Oak trees in our outdoor classroom. First, we learned to tell the difference between them. 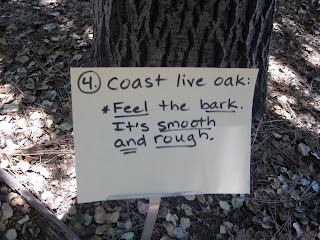 We went on an observation walk and did bark rubbings. 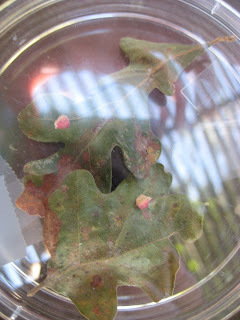 We learned that galls are a swelling of plant tissue that provides food and shelter around a wasp larva growing inside. 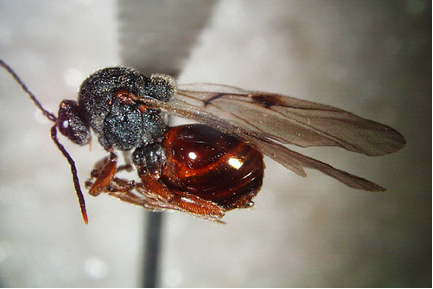 This tiny wasp is only about a mm. I turned the photo in my iphoto but it still uploaded this way. Grrr...anyone know a trick for turning photos in blogger? 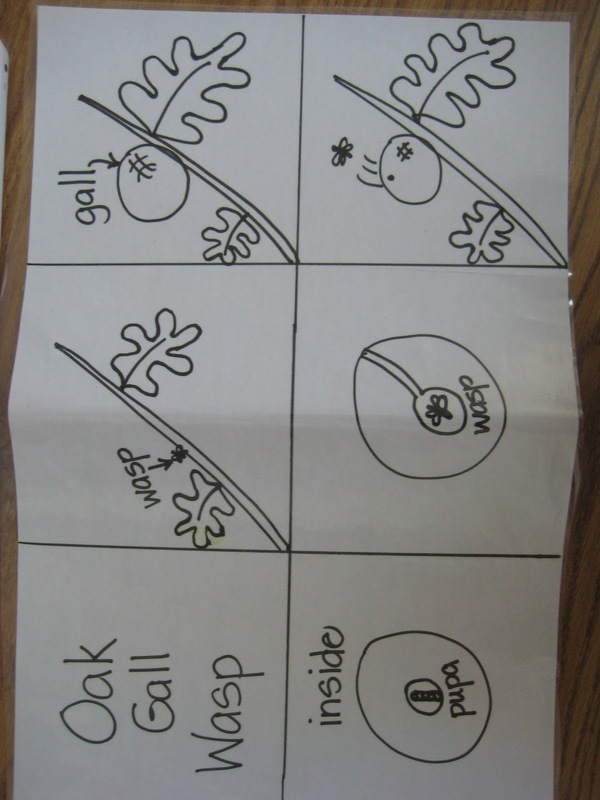 I modeled how to draw as we talked through the life cycle. 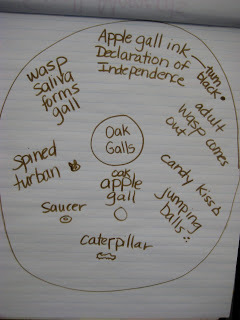 We looked at some samples and identified and collected data on the many different types of galls: oak apple, candy kiss, jumping balls, saucer, caterpillar, spined turban. 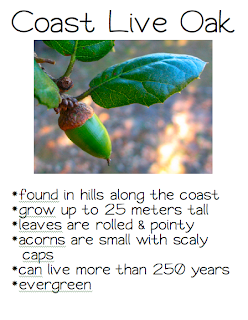 Did you know the Declaration of Independence was written in oak apple gall ink? Each student got a chance to write with a feather and real oak apple gall ink. We brainstormed what we had learned on a circle map. Ignore the messy handwriting. If I slow down to make it neat I lose my kids. This was our first step-up to writing paragraph. I asked for the students input but clearly this was heavily led by me. Hope you enjoyed learning about oak galls! I LOVE your blog and I’ve nominated it for an award! Visit the link below to copy/paste the Blog on Fire button. Share seven things about yourself and pass the award along to some "hot" blogs you follow. Congrats and Happy October! 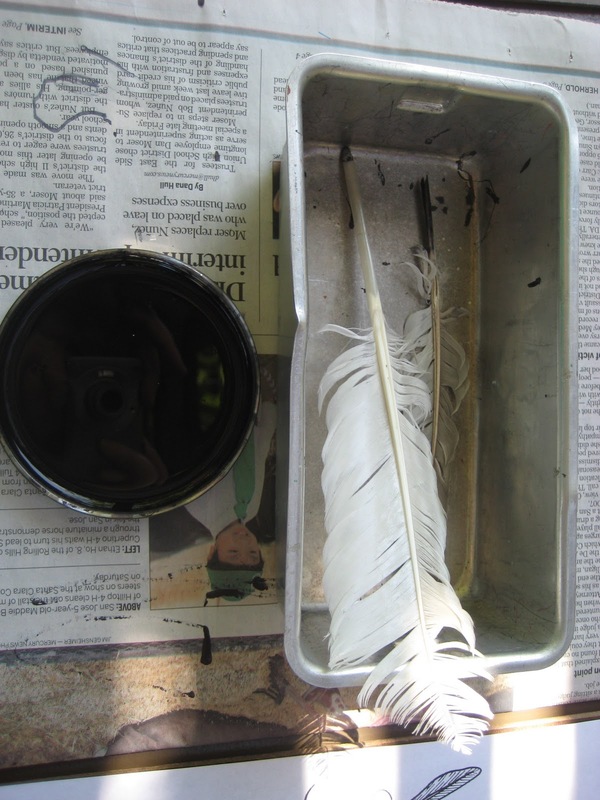 You have some great ideas on your blog! I'm passing on the Versatile Blogger Award to you because I am a big fan! Thanks so much! Cheers!